As often mentioned, for my book research I read memoirs and autobiographies and watch interviews of oral history reports. Over and over again, I’m stunned by the stories of ordinary people performing extraordinary deeds. 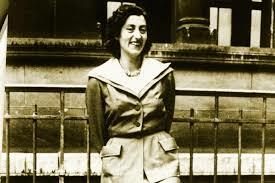 One such person was Lucie Aubrac (nee Bernard), a bright woman who obtained the “aggrégation” in history, the most prestigious higher degree in France. She obtained a job teaching history at a school in Strasbourg. In 1939, she met and married Raymond Samuel, an engineer who had recently returned from a year abroad at the Massachusetts Institute of Technology. After the Germans occupied the northern portion of France, the couple moved south to Lyon. 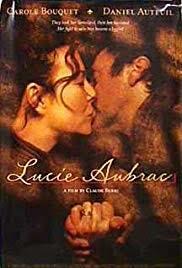 Recruited by journalist Emmanuel d’Astier de la Vigerie, Lucie joined the resistance movement in Free France and with her husband was one of the four founders of Libération-Sud (Liberation-South). The following year, the group performed two sabotage attacks at train stations in Perpignan and Cannes. Shortly thereafter, they distributed 10,000 propaganda flyers, but one of the distributors was caught, leading to the arrest of d’Astier’s niece and uncle. Libération-Sud decided to lie low, and perhaps this was when Lucie and Raymond decided to take on the nom de guerre Aubrac which they would retain after the end of the war. Fast forward to March 1943. Samuel was arrested, so Lucie marched into the office of the local Vichy public prosecutor and managed to get him released. Two months later he was arrested again. This time, she went straight to the top and visited Klaus Barbie. She claimed to be Samuel’s fiancée, and that he had been caught as an innocent bystander. She asked to marry him because she was pregnant with their child. Barbie showed her the file of pictures he had on her, that included a photo of her with her first child, then threw her out of his office. Days later, she made another attempt…this time with a lower level Nazi prosecutor who didn’t know about her conversation with Barbie. Later she would say, “This guy was a collaborator, and therefore, a coward. If I spoke louder than him, I was sure to win.” Whether it was her words or her bribe, he granted the request. 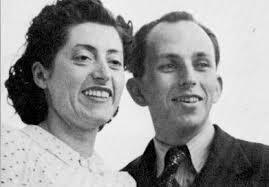 After the ceremony, Lucie led armed Resistance members in an attack on the convoy of cars and rescued Samuel and fifteen other prisoners. Needless to say, it was now time for Lucie and Samuel to go into hiding. It was a long eight months. They were not able to secure passage to London until February 1944. Three days later, Lucie gave birth to their daughter, Catherine. In 1984, she published a semi-fictional version of her wartime diaries that would be made into a movie in 1997. LOVE the French Resistance! They shine like jewels in a very dark time.